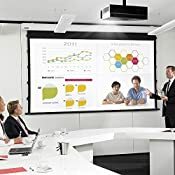 Full HD presentations in conference rooms, classrooms, and training facilities. Home entertainment, churches, art galleries, and photo clubs. *LOW PRICED WSUVGA (1920x1080P) native resolution, focuses sharply from edge to edge throughout its range. 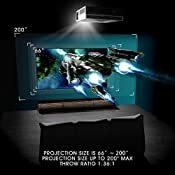 *High brightness projector-3600 lm Luminous Flux. *Dual HDMI inputs that are MHL-compatible. *Two 4 Ohm HIFI level build-in speaker. *Fan Noise. Fan noise is very low for a projector of this brightness. The noise is composed of low-to-medium frequencies that do not interfere with normal audio volume levels. ⚡Order now! 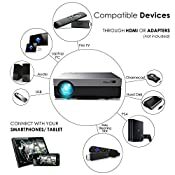 Get your real 1080P projector under $270 before 30th. June! CiBest provides with 12 months warranty and lifetime professional customer service & technical support. You can order it without any risks. If you have any questions or concerns, contact us (E-mail:cibest-us@outlook.com). we will always be here to serve you. 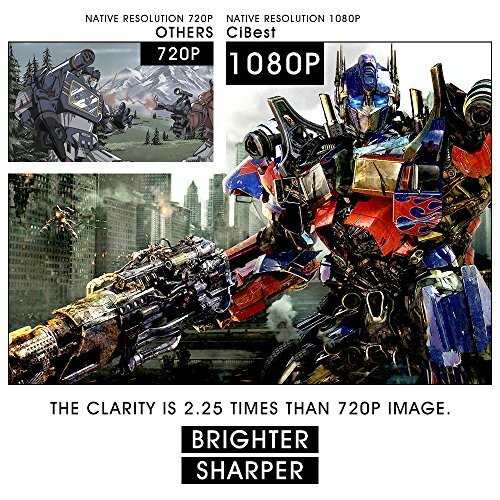 ⚡ACCURATE, BRIGHT AND COLORFUL⚡ Native resolution 1920 X 1080P with 3600 lm Luminous Flux high brightness. 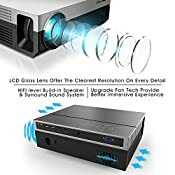 ⚡HIFI LEVEL SPEAKER⚡ The video projector is now equipped with build-in two 4 Ohm speakers and surround sound system. 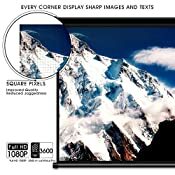 ⚡WIDESCREEN⚡ 1.36:1 throw ratio, 16:9/4:3 support, projection size from 67" up to 200"max. 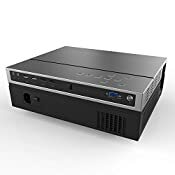 ⚡MHL COMPATIBLE⚡ Streaming MHL supported device to mirroring photos, videos, documents, games, etc. ⚡EXTENDED LAMP LIFE⚡Amazing 50,000 hour lamp life.